Welcome to the new bull market! That was the message proclaimed by our very own Chris Rowe earlier this week. But if history is any guide, the stock market has just put in a major bottom, or we’re pretty darn close to it. 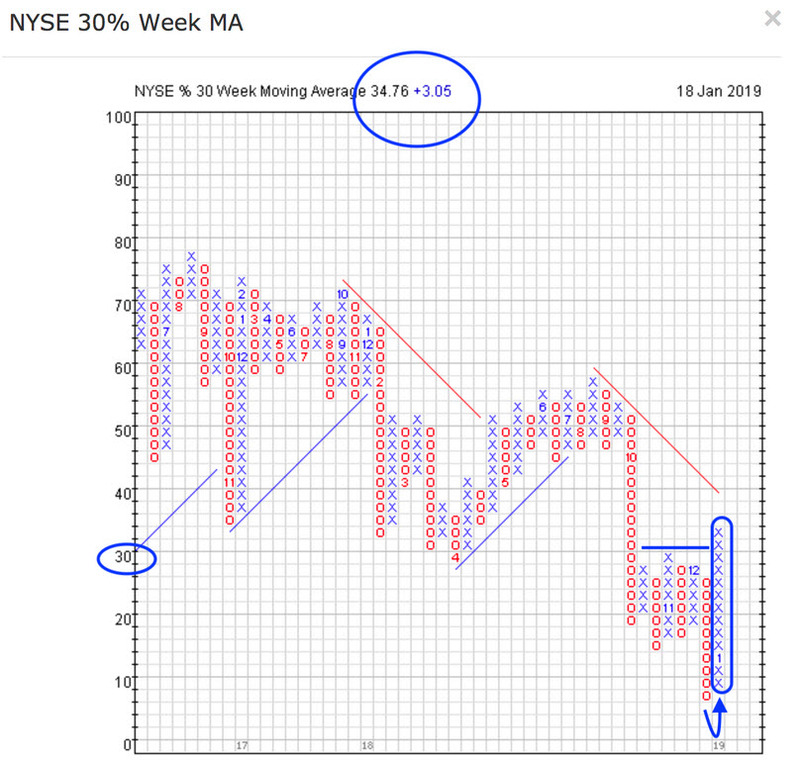 On Tuesday, Chris shared with you a very powerful breadth indicator called the NYSE %30 Week MA. It basically measures the percentage of stocks within the NYSE Composite that are trading above their respective 30-week moving average (150-day). When that reading falls below 20%, stocks become excessively oversold. The reading actually hit 8% at the end of December. Now, we hardly ever see readings that low. And when they’ve emerged in the past, it proved to be a fantastic buying opportunity. And both times, when the indicator fell below 20%, it heralded a major market bottom. As you can see from the chart, the indicator has since reversed back to a column of X’s and is rising from oversold. What's more, the S&P 500 has gained more than 6% since the beginning of the year, the best start since 1987. Coincidence or not, there’s plenty of signs that demand is returning to the stock market. Take the NYSE bullish percent index (BPI), the broadest internal breadth indicator of the stock market. Generally speaking, when the current column (at the far right) is in O’s, Supply is in control of the stock market. But when it is in a column of X’s (like it is right now), Demand is in control. As you can see, the current column is in a rising column of X’s. The reversal to X’s actually happened back on January 8th. 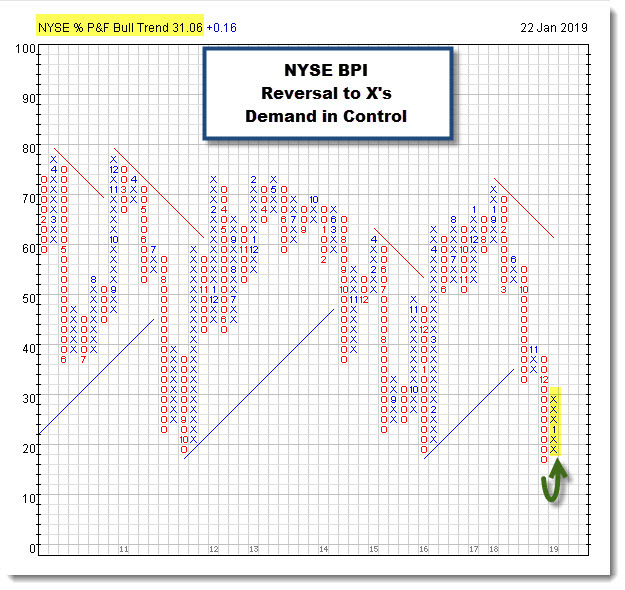 The point here is that now we have two very important indicators both turning bullish and from an area of the chart that is considered oversold. As an investor, you have choices. You can buy an ETF that tracks the S&P 500 index. (In 2018, the S&P 500 lost -6.25%.) However, if you instead focused on the strongest sectors of the index while avoiding the weaker ones, your returns would have been much better. Which raises the $64,000 question... If this is indeed the beginning of the next bull market, where in the market can you find superior returns? And all three performed better than S&P 500 in 2018. By applying the relative strength methodology, investors can increase the odds of outperforming the market and generating superior returns. It’s a simple, objective approach to making smarter investing decisions. 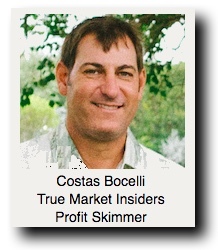 And it’s the investing approach we advocate at True Market Insider. But we actually go one step further by dissecting the U.S. Equities asset class into 41 narrow industry groups. By gaining a more granular picture of the inner workings of the stock market, we can see exactly how the giant institutions are rotating capital into and out of these concentrated sectors. This is a huge advantage for individual investors -- the ability to see the stock market for what it really is. And a perfect way to quantify which groups are demonstrating superior relative strength and which ones are falling short is by applying a relative strength matrix. The matrix approach works because every day, in the arena of the stock market, a battle over price takes place. The combatants are Supply (the bears) and Demand (the bulls). 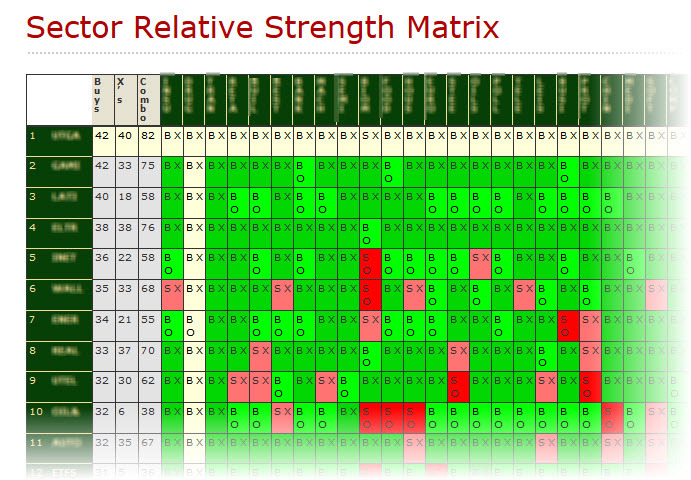 A relative strength matrix quantifies these price battles and ranks the results. Kind of like the team "standings" you see in the sports section. Only instead of games won versus games lost... or points scored... this matrix ranks the sectors by comparing the number of relative strength “buy signals” in every sector against those in every other group. The ones near the top of the rankings are the narrow sector groups that are demonstrating the most positive relative strength as compared to the others. One narrow industry group that has been moving up the leaderboard is Software, a narrow sector within the broad Technology sector. Investors who want to gain broad exposure to the Software group can look to the Invesco Dynamic Software ETF (PSJ). 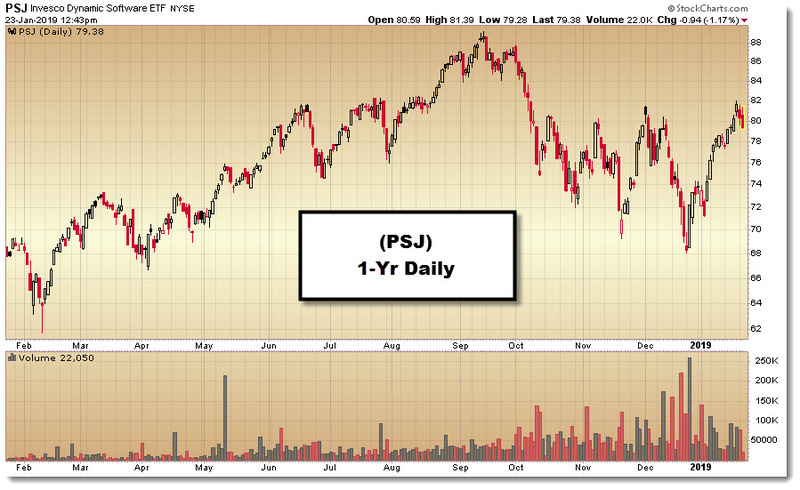 PSJ is in a long-term bullish uptrend and is demonstrating positive relative strength versus the broad stock market. You can also look within the sector for high quality individual stocks ideas. Here are three stocks that are in bull trends and are demonstrating positive relative strength versus the stock market and against their sector peers: Five9 Inc. (FIVN), Tableau Software (DATA) and Workday (WDAY).